Besides Christmas, Thanksgiving is one of the most popular festivals; this is when you and your near and dear ones get together for a day of fun and frolic. However, you are also required to send out greeting cards to friends and family members who are unable to visit you. To make sure that you get your hands on the best possible greeting card designs, you should take a look at some of the free Thanksgiving templates here. Orange is technically the apt theme color for thanksgiving. That makes this thanksgiving greeting card template here all the more appropriate. Also, you get some beautiful designs and stunning fonts here too. This thanksgiving printable greeting card template comes with an attractive black background and a gorgeous yet subtle and elegant design on both sides. Plus the template comes with customization options as well. Black and white, and quirky designs almost go hand in hand. 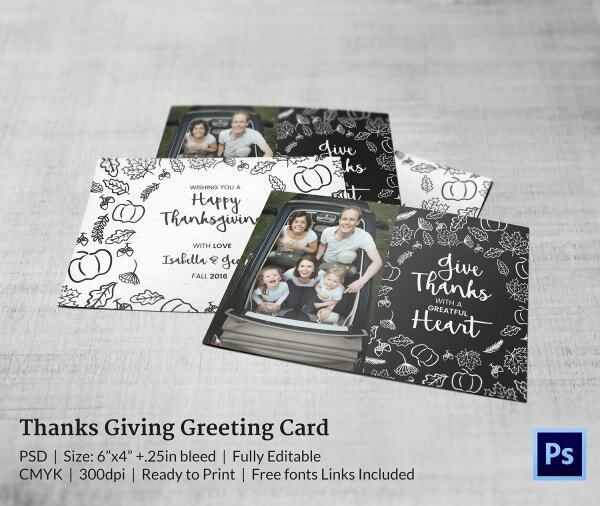 That is what you get if you choose to use this thanksgiving card template. With designs resembling doodles, this template is perfect. 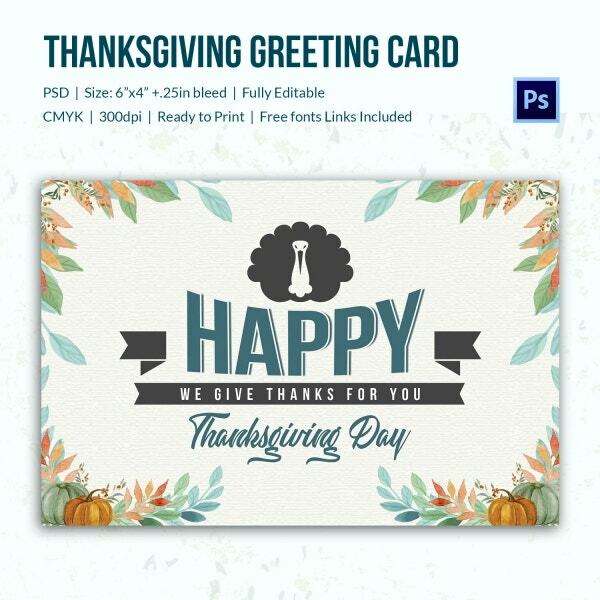 Simple designs look best when it comes to thanksgiving greeting card designs. Also, you get a PSD format which is ready for print. 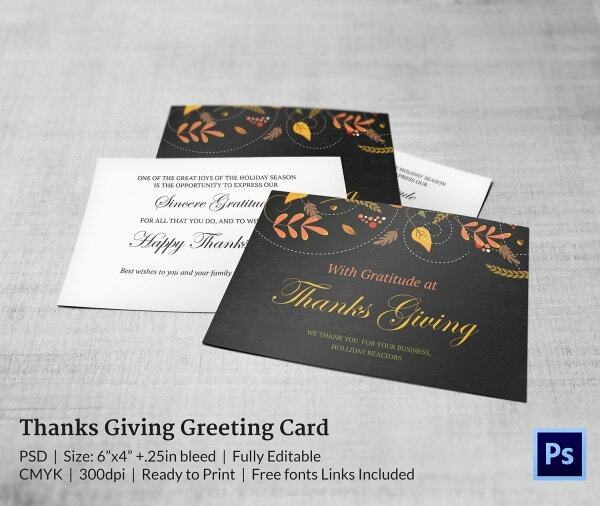 The greeting card template comes in a standard size with allowance for bleed. 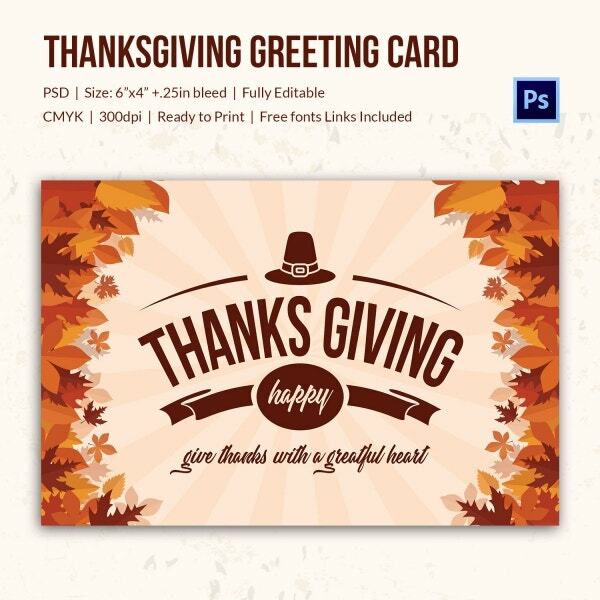 The thanksgiving greeting card template that you see here comes with easy customization options. You could mention your own details and customize it any way you please. Also, the template is ready for print. The templates would save you a whole lot of time. You could have one design for all the greeting cards that you will have to send out. You could download the one you like the most and be done with it. The templates are 100 % editable and customizable. 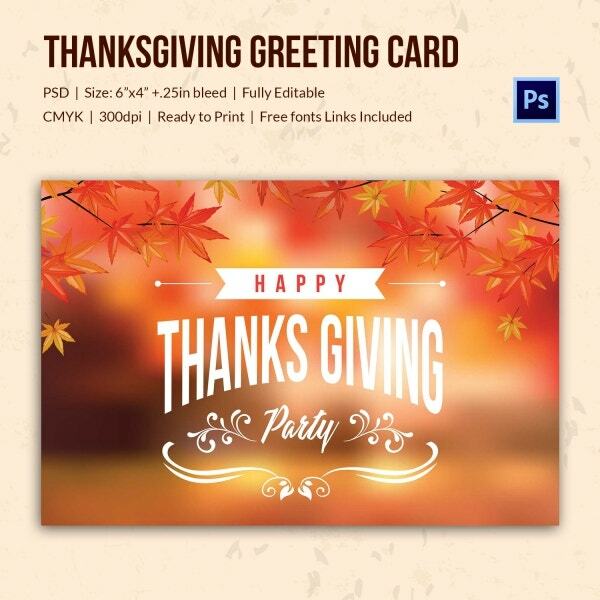 Each element that you see on the greeting card templates here, like text and graphics, are subject to customization. 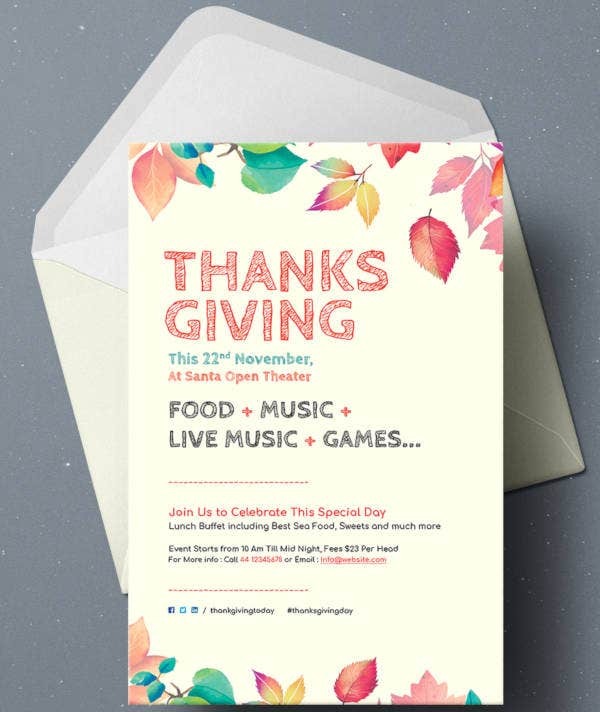 You can also see Thanksgiving Menu Templates. The templates here have been designed by a bunch of professionals who know what you want. 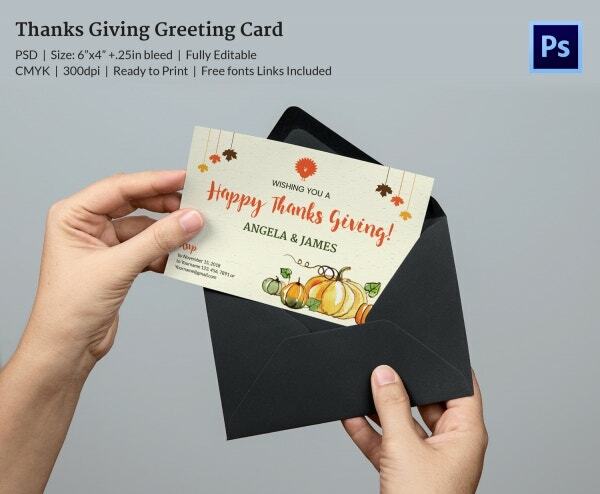 If you are planning on sending out greeting cards this thanksgiving on a mass scale, then the greeting card templates here are your best shot. You could go through the numerous choices that you have here, select the one you like, and download it. You will also be able to edit the various details on your card.